Enter a world full of dragons to rescue a beautiful maiden in Amatic new release - Dragon's Pearl.Set in ancient China where old men would kidnap young girls and hide them away for their own pleasure and they were known as pearls. As a warrior playing this slot, the young girls hope lies with you. You have to spin the reels so as to rescue the young girl. Dragon's Pearl is a 5-reel, 4-row and 50 payline slot with substituting wilds, scatter symbols and tons of bonus spins.So get ready for an adventure of your lifetime as you undertake this journey as you spin the reels for big wins. If you have played Amatic games, you will understand that they offer quality games. Dragon Pearl is no exception. this game takes on a Chinese theme and follows a storyline which will get you hooked as you play the game. The game centred on an ancient tradition, but instead of committing a crime, you are given a slot which you are able to still experience the ancient culture but at the comfort of your home. Its visuals are crafted with intricate details plus the graphics are superb allowing players to play the game without any hustle. You do not need to download any software to enjoy the slot. It can be played on multiple devices including mobile devices and desktop computers.This is a low to medium variance slot which means that you will receive regular payouts between plays. 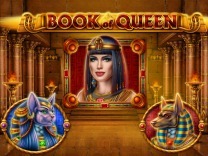 If you are looking for a slot which is fun and exciting to play then this is the slot to choose. It is recommended for all players whether they are novice players or veterans. 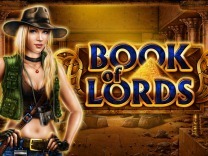 Amatic has ensured that players can have fun playing this slot by delivering quality gameplay. There are different ancient Chinese characters which have been incorporated into the slot. You will find symbols such as the young girl, the old man, dragon's, tortoise, flowers, butterflies and fishes. These are the only characters which have been featured in this slot. These symbols pay a high of 2500 credits for matching 5 of these characters while the lowest amount you can get paid is 10 credits for matching 3 of these characters.Before you can begin playing this slot, you must know the gameplay. You will be required to set a wager. This can be done by adjusting the number of paylines and the number of credits per bet line through the buttons located at the bottom of the slot display. 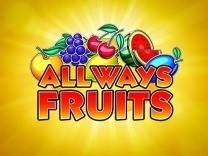 The slot allows a minimum and maximum bet of between 1 and 100,000 credits. There is also an auto start button which is important for those players who would like to play the slot without manually clicking the start button. In Dragon's Pearl, you will find 50 paylines which will give you multiple chances to make winning combinations with each spin. You have to match at least 3 symbols on an active payline to receive a payout. All pays are paid from left to right of the slot.Watch out for the old Chinese guy as he is the best symbol in this slot. Matching 5 of these symbols will award you up to 2500 coins. While Dragon's Pearl offers an excellent base game, you will be astonished by the bonus features in this slot. You will first encounter a gamble feature which is tied to the base game winnings. Whenever you land a winning combination, the gamble feature is activated, but you have to manually click the gamble button to activate the feature. This game is presented as a guessing game, where you have to guess the card colour, either red or black. Correct guesses mean doubling your winnings while incorrect guesses mean forfeiting your wins. You can also quadruple your wins by guessing the correct card suit.There are tons of bonus spins which can be won in this slot. To activate the bonus spins you have to land 3 pearls on any position on the reels so as to earn 5 bonus spins. Whenever in this feature, any extra pearl landing on the reels will extend the feature. You will be required to play the feature until there are no more bonus rounds remaining.There is also a dragon wild symbol which substitutes all other symbols on the slot except the bonus symbol. This symbol has a maximum of 4 symbols on a reel.